Take a stroll down the most famous street in America! Pennsylvania Avenue is home to the Presidents and over 200 years of history, scandal, urban legend and intrigue. Join this tour and also enjoy reserved access to the National Archives! Take a stroll down America's Main Street and see some of the most iconic sites in the country, including the most famous address in the world: 1600 Pennsylvania Avenue. Your tour will begin by visiting Lafayette Park to learn about history and scandals behind the President's early neighbors. 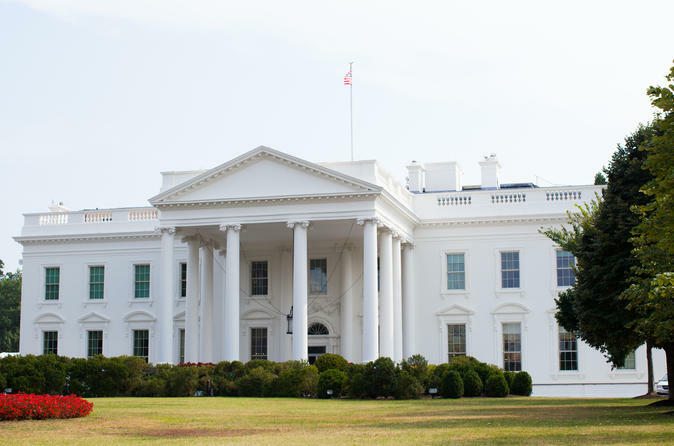 After visiting the outside of the White House, we'll walk right down Pennsylvania Avenue taking in the history of the famed thoroughfare. Hear all about the crazy history of the Avenue's citizens throughout the years including soldiers, politicians, thieves, and even ladies of the night! Your tour will conclude with reserved access to the National Archives, home to the original Declaration of Independence, the Constitution, the Bill of Rights and many more iconic documents our country is built on. Often the security line outside the National Archives can stretch around the building and be over an hour long! But, with your tour, you'll zoom right by skip the security line, getting you inside sooner. Your guide will depart here allowing you to visit the National Archives at your own pace. Please note that this tour will not go inside the White House. We recommend contacting your Embassy or your Congressional Representative at least six weeks prior, if you are interested in trying to tour the White House.